boxed lunch at start of event. 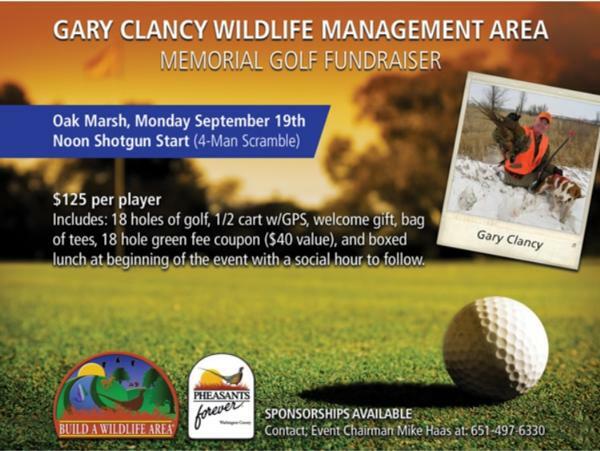 In addition, $500/$1000 Individial Donations for the Gary Clancy Wildlife Management Area Memorial are also being secured. Includes recognition on the marker at the WMA site, when built. Project build is 2017. If you are interested in donating, contact Mike Haas.